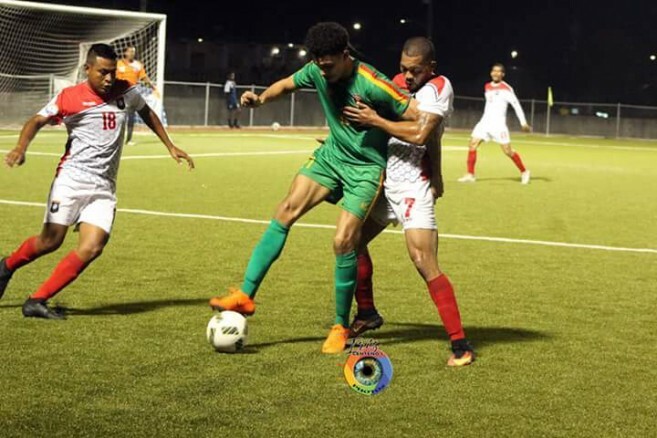 Belize’s National Football Team (Jaguars) hosted Grenada’s National Team (Spice Boyz) in a friendly match at the Isidoro Beaton Stadium in Belmopan City on Thursday, March 22nd. 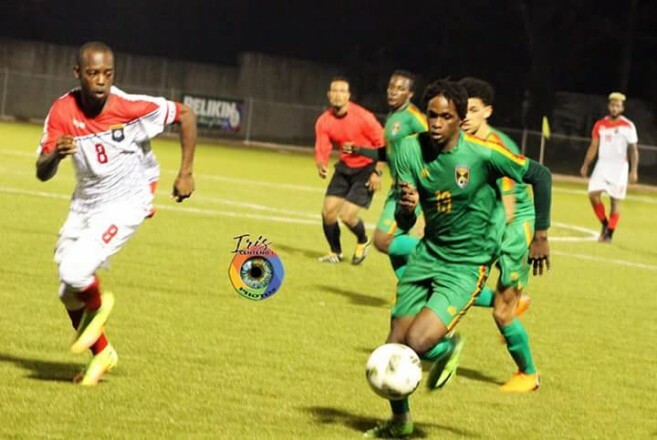 Among the players selected to play for Belize National Team was San Pedro’s Jesse Smith. The match saw both teams showcasing skills but when the long whistle was blown, it was a 4-2 victory for the Jaguars. 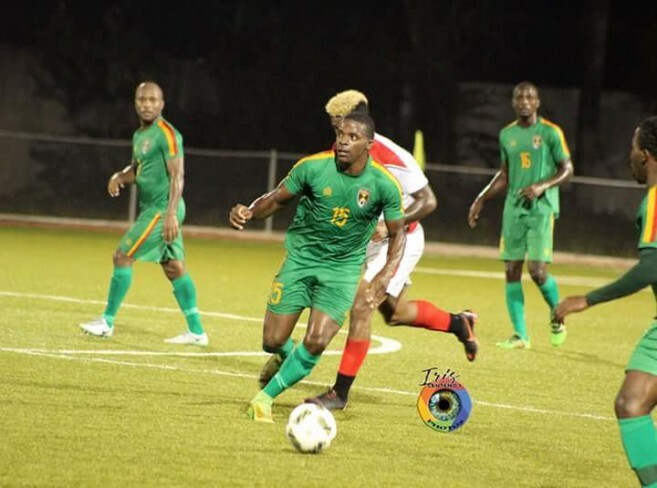 The match began at 8PM with Grenada determined to take the victory, with Rickey Modeste scoring their first goal within the first two minutes. Belize’s Michael Salazar then responded with a goal at minute 11. The early score had fans in a frenzy, and at minute 24, Jarret Davis added to the excitement by scoring another goal for Belize. The match then saw both teams controlling the ball equally, until minute 40, when Elroy Smith netted another goal. At halftime, the Jaguars were roaring to the break with a 3-1 lead. 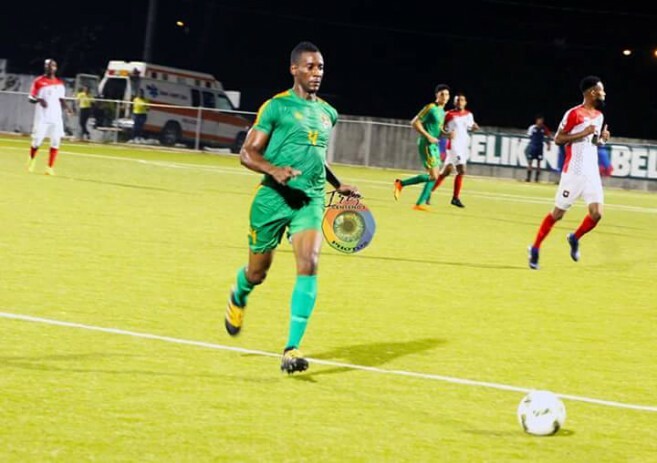 Upon returning from halftime, Grenada immediately scored another goal three minutes into the second half, courtesy of Kairo Mitchel. The Belize team responded with a strong defense, holding the Spice Boyz back from another score. It wasn’t until minute 74, that Elroy Smith on Grenada’s side slammed in another goal for Belize. Both teams defended well for the rest of the game, and no more goals were scored. When the long whistle blew, it was a clear 4-2 victory for the Belize Jaguars. The Belize National Team saw action from: Woodrow West, Michael Salazar, Kyle Flowers, Kieron Rosa, Shane Orio, Norman Anderson, Elroy Smith, Ian Gaynair, Nijib Guerra, Dalton Eiley, Victoria Mejia, Denmark Casey, Jaret Davis, Elroy Kuylen, Daniel Jimenez, Andres Makin, Carlton Thomas, Luis Torres, Collin Westby, Trimayne Harris, Jarren Lambey and Jonard Castillo. The Football Federation of Belize’s (FFB) Vice President Marlon Kuylen is thrilled with the outcome of the match. “Both times that we’ve played against them we have won by good margins, but from year to year things change,” said a proud Kuylen. “We always go confidently into a match. We did not think that it would be that easy, but we controlled most of the game,” he said. 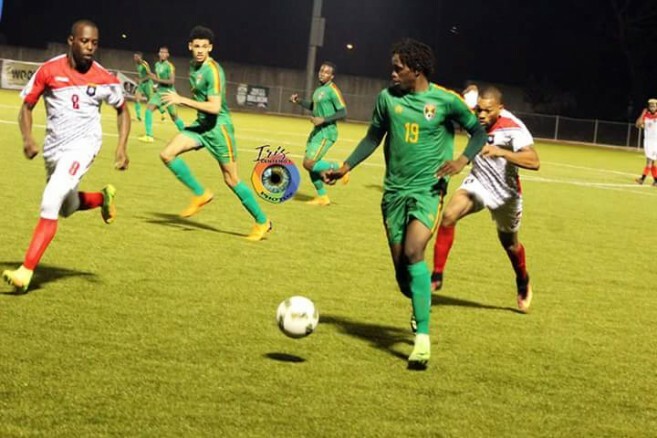 The international friendly match is part of a calendar of activities by the FFB in anticipation of the CONCACAF Nation’s League, which will not only improve Belize’s FIFA ranking but also serve as a qualifier for the 2019 Gold Cup. The regional competition is scheduled to commence in September 2019, but for both teams, it is an opportunity to further develop their respective teams. The FFB didn’t specify when a next international match is going take place, however, it is presently training a selection of players to represent Belize in the upcoming Central American Football Union (UNCAF) Beach Soccer Cup, to be held in El Salvador from Thursday, March 29th through Saturday, March 31st. The San Pedro Sun congratulates Belize’s Jaguars for winning the international match, and wishes Belize’s Beach Soccer Team the best in their upcoming tournament.